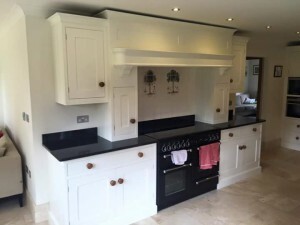 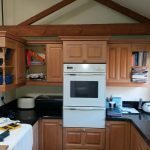 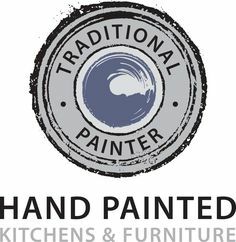 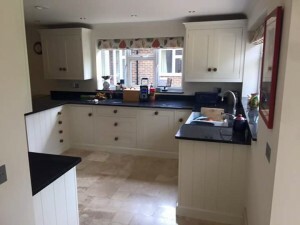 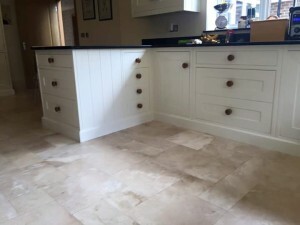 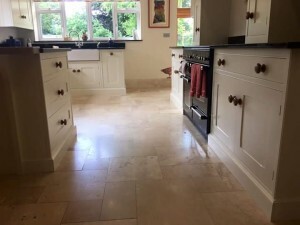 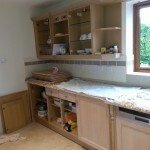 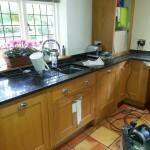 This kitchen had been Hand Painted by Emma Brown who covers the Kent area, one our Traditional Painters when it was first installed about 5 years ago, but it had a little bit of water damage on 2 doors from a leaking tap under the sink, The client was happy for us to carry out the work as we where there local Traditional Painters. 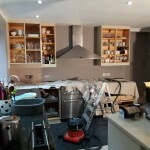 They thought they might as well have the complete kitchen repainted while we where there. 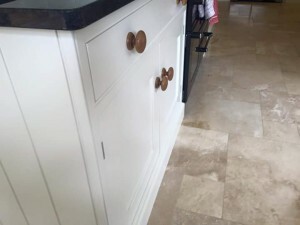 The kitchen furniture was cleaned down and prepare, The Doors & Drawers where eased if required, All fittings and handles removed, The Doors & Drawer fronts where then removed and Hand Painted with an undercoat and 2 top coats of Tikkurila Empire Furniture Paint mixed in an off white, A very attratctive durable satin finish perfect for hard ware areas like Kitchens.